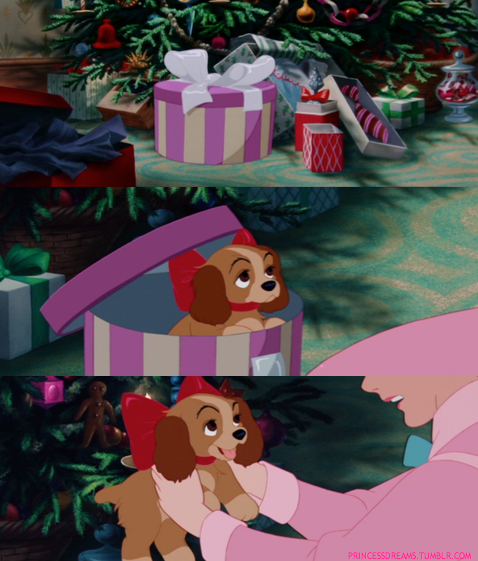 We all remember that opening scene from Lady and the Tramp, and what could be better for an animal lover or child than receiving a little bundle of fluff jumping around under the tree? My family’s always been big on the idea that once an animal joins the ranks, it becomes family. From the goldfish in the pond to the dog on the sofa, taking in a new animal is never something we’ve taken lightly. It’s well past the run up to Christmas, and by this point, the usual range of billboards and commercials advertising whatever this season’s must-have toy or gadget is, are hard to ignore. But it’s this idealised picture that sometimes leads people to make poorly considered and thought out purchases and to power phrase a well-known adage – ‘A Pet is For Life, Not Just For Christmas’. As a general rule, I’m not a fan of giving pets as gifts, period. But I’m particularly opposed around Christmas time. This is because in most cases – not all, but most – the act of this ‘gift giving’ is driven by whim. That sad truth of the matter is that if you visit your local shelter throughout January or February, you’ll find hundreds of pets who worn out their welcome as Christmas gifts. It happens every year, and 2015 is no exception. The Scottish SPCA are advising people not to buy pets as Christmas presents for fear of a surge in abandonments. As Scotland’s animal welfare charity prepares for its busiest time of year, it hopes many pets will be spared the heartbreak of being dumped like unwanted gifts after the festive period. In January of 2015, the Scottish SPCA took in over 230 dogs and over 250 cats and it’s more than possible that some of these animals had been bought for Christmas. For this reason, they are asking people to really consider whether they have the time commitment and financial resources to be able to properly care for an animal for the entirety of its life. In order to reduce the risks of people taking on pets to give away as presents, the Scottish SPCA have stopped rehoming puppies, kittens and baby animals on the 19th of December until the 3rd of January. Lucy Ross, Head of Training at Pets Corner: “At Pets Corner we have a ‘no impulse and surprise’ present policy with regards to our pet sales all year round, but especially during the festive season. We do not agree with the sale of pets as surprise presents where the person receiving the pet is unaware. Our reason for this is that we want to ensure our pets are going to only the best of homes to owners who have a good understanding of their welfare needs. We like to talk to the primary caregiver of the pet to make sure they have only the best advice and to provide ongoing support for them and their new pet. We do take each customer situation and case into consideration and depending on the circumstances around the primary caregivers of the chosen pet we will either agree or disagree to sell the pet under our ‘Think Twice’ policy. “We are all about responsible pet ownership here at Pets Corner and we recommend that all prospective pet parents think twice before taking the step to purchase their new family members this Christmas. The Christmas period is a very busy time of year for families. In addition to the usual daily routines of school, work and other activities, end-of-year festivities mean even more demands on your time with extra cooking, cleaning, shopping for gifts, gift wrapping, tree decorating we are generally much busier during this time of year than any else. We also have family guests coming to stay or visits away from home to join in the festivities elsewhere making for a temporary hectic lifestyle. All of this makes it a difficult time to introduce a new pet to a new home and environment with all the noise, fun and excitement that Christmas brings. I actually got a rescue puppy in January, never thought about it but Teddy could have been one of those christmas pets. ?At least he’s part of a new forever home… wich is awesome ? That’s so sad all those poor puppies and kittens. My younger sister loves animals and these sorts of articles – promoting good pet care bla, bla, bla – so I am going to tell her about it ? I totally agree. Bad owners. You should never give a pet as a gift. I got my dog as a gift for my birthday and i love her to bits… so not all people are bad to them. I am regular visitor, how are you everybody? This post is genuinely good, well done for getting the quotes. I’m actually trying to start a blog myself – may i ask how you managed to get them to respond to you? Generally I agree, but I have to say that i know lots of people that have received puppies as gifts from partners, and love them to bits! ? Your writing taste has been surprised me. Thanks, quite a nice article. I always remember my friends dog dying in like November and she was like, no it’s fine we’ll just a new one at Christmas. I didn’t understand why she wasn’t crying her eyes out. We got a puppy for Xmas. But we’ve been planning it for months, and only decided it was a good time because everyone has so much time off.